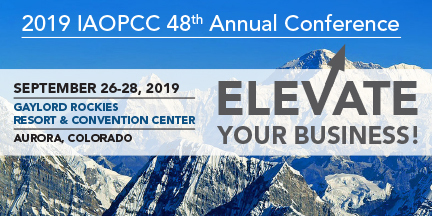 Below is a listing of the Continuing Education Classes that will be offered prior to our 2019 Conference in Colorado. Take advantage of our CE PACKAGE PRICING* for you and your staff. Choose 3 or more CE Classes in any combination for a total of $495.00 (*Note: Excludes CPCO Program. Attendees must be from same company). Come a day early and earn Certifications for you and your staff. Complete this important Accreditation requirement by being there. Services for K-9 Officers – What You Must Know! Facilitated by industry experts Keith D. Shugart of Deceased Pet Care in Atlanta, and Robert Erdman of Precious Pets in Oklahoma City. These instructors bring a combined experience of more than 60 years in Pet Funeral Services. This is one of our most popular classes! If you are looking to add or perfect these services within your own business, you will not want to miss this class! Facilitated by noted Pet Loss Bereavement Expert & Lecturer, Susan P. Cohen, DSW, along with other experienced and top professionals in the pet aftercare industry. The Level 2 Pet Bereavement Compassion Fatigue Certification program will build upon and expand knowledge learned in Level 1. This class will include handling difficult cases and complicated grief in others. Providing real life situations and role playing will give you experience, advice and guidance as you navigate complicated grief in clients. Time will also be spent on Compassion Fatigue for yourself and your employees – what it is, how to recognize it, its effects, and the necessary steps to prevent it from happening to you! PBSC Level 1 is required prior to taking this class. NEW CERTIFICATION! Level 1 – Occupational Health & Safety Certification – Safety Compliance Officer New Class! This class is a must for all business owners! Come ready to learn important information regarding health and safety within the workplace of Pet Aftercare. Avoid potential problems by understanding must have safety equipment and procedures on how to handle zoonotic disease and other infectious diseases. Know why it is important to exercise precaution to ensure employees are not at risk! This class will also cover best practice safety habits in relation to driving, lifting, first aid, safety equipment, and professionally dealing with customers and veterinary hospitals. If you have a business, and you have employees, you need this class! This certificate class will be offered as an online class in 2020 for your employees! We encourage you to be at this class to evaluate the enormous benefit this class will provide your business and employees!